Last week, Eau Claire, Wisconsin was buried under a blanket of snow. 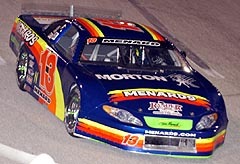 At 4:40 am one morning, Charlie Menard had to get up, go out, and clear his driveway, just to be able to make it to the airport and his flight to Florida, where he would be competing in SpeedFest 2005, a revised and revamped version of the big “preseason” Super Late Model race at USA International Speedway in Lakeland, FL, which this year, brought together five of the nation's biggest Super Late Model touring series (CRA SS, FASCAR, PASS, Southern All Stars & USRA). As action got underway on Wednesday with an open practice session, Menard and his brightly-colored #13 looked to struggle a bit against his competition, competition that some people were saying was one of the best gathering of Super Late Model drivers in quite some years. 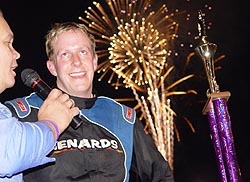 The 2004 NASCAR Weekly Racing Series Midwest Regional Champion was just 31st quickest. drivers thought Menard was a little overly aggressive during the race. Menard said he was nowhere around his accusers and hoped there was no hard feelings his way. His sincerity made it hard to believe he was at fault during a couple of the many Thursday night incidents. Friday's practice brought good things to the whole Menards team. They were in the top 10 in practice and had high hopes. Then, during qualifying, a light mist began to fall and Menard was one of the unfortunate few to go out early. His time showed it, as he timed in just 34th of the 35 cars to take time. Mother Nature then washed out any chance Menard had of proving his qualifying a fluke. Then came Saturday night. It was “Menard's Night at the Races,” without the sponsorship pun of course. As the eyes of the Short Track world focused on Lakeland, FL and 38 of the best Super Late Model drivers in the country on one of the country's nicest tracks, Charlie Menard stepped it up and proved himself the tops, at least this night. 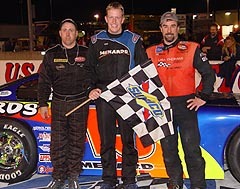 Menard led a Northern-driver 1-2-3 sweep of the podium in Saturday night's 200-lapper (more on the Northern dominance later this week here on Speed51.com) after he took the lead on lap 135 over Bubba Pollard and never looked back, holding off Eddie Hoffman and Pat Kelly en route to one of the biggest wins of his young career. “Thinking back on it, it is pretty cool to win this race,” said Menard last night, a couple hours after his victory. “With the level of competition here, it really means a lot. It really does. I've probably not fully realized it just yet. After Saturday night, they were probably pretty impressed with Charlie as well. Menard and his team used a one-stop strategy, something that seemed unheard of after watching the race unfold on Saturday night. As many drivers made multiple pit stops, Menard made just one, coming in just after halfway, changing just two right side tires. Even more impressive was the quick stop performed by his team, getting him out in front of a handful of other great cars into the top-five. From there, Menard just worked at picking his competitors off one-by-one as their equipment fell off and his didn't. “We started in the good spot, but we got shuffled back at the start, which was cool. We just cruised then. These other guys started using up their stuff. I don't know if anyone watched us close, but we weren't sideways all night. At the end of the night, I just started driving underneath guys. We saved our equipment and that helped. That feeling paid off. Menard coasted to a five-plus second lead at one point before having to get up on the wheel and drive a little harder to hold off Hoffman. “I can't believe how much these guys get up on the wheel and race,” said Menard of his competitors. “Not saying that us Northerners don't do that, but these guys down here get right up on the wheel and get going. So it just gives you goose bumps that we have a team that is on the same level as these guys. It was the perfect way for this “working man” to end his vacation. You see, Menard is not a full-time racer. He is merely a hobby racer. His full time job? Menard is the COO of Menards Home Improvement Stores. 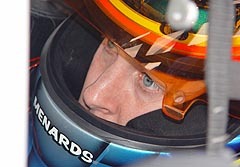 So with such a promising start to his 2005 season, you might think that Menard has a lot of big plans for 2005. But, you'd be wrong. So Monday morning, Menard will likely be back in Wisconsin, snowblowing his driveway again, hoping this time, just to get to work. 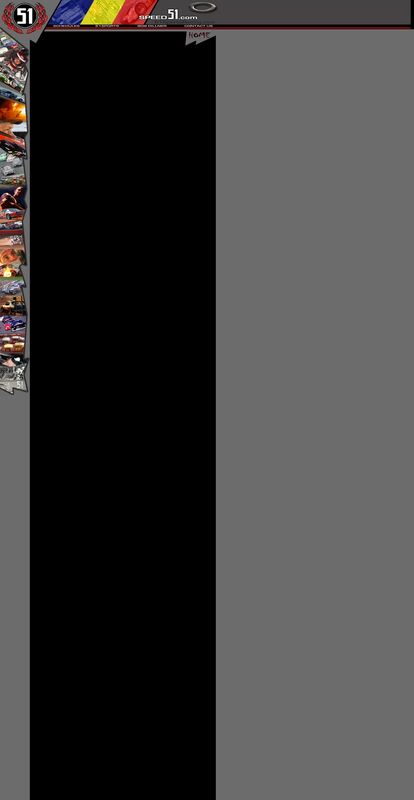 EDITOR'S NOTE: Speed51.com will have more from Saturday night's action this coming week, including more photo galleries and a huge edition of Leftovers, so stay tuned. It's back to work on Monday for Charlie.